I intend to build a lovely big library of these classics. Not only does the design appeal to me, but the books themselves are gorgeous to read - I'm in love with the paper, the typeface, the complete package. This series really enhances the whole reading experience. And as for the content... Well, it's tried and tested, isn't it? 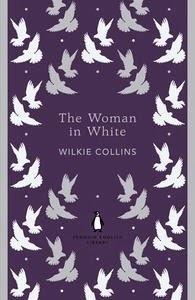 I'm not sure I've ever read a novel as unputdownable as The Woman in White. I have a sneaky suspicion I should have read it as part of the Victorian Melodrama module of my degree, but clearly didn't, which is also clearly a great shame. But then, we never enjoy what we are forced to read as much as that which we choose for ourselves, so maybe my lack of diligence at 18 is a blessing now. Either way, I cannot recommend this highly enough if you haven't already read it. It's heart-racingly exciting from about page 40 onwards, with a twist on virtually every page thereafter. There is a bevy of likeable, detestable, frustrating, brave, and pathetic characters spilling out of every new narrator's tale, and the myriad coincidences that move the story ever onward are actually a breath of fresh air in today's cynical literary world. And now I know where Sarah Waters gets so much of her inspiration from; I love to see that heritage passing through the generations. Utterly brilliant. 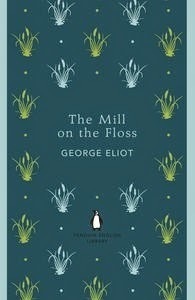 The Mill on the Floss is an entirely different proposition. The Woman in White might be considered populist fluff in comparison, though the populist fluff of the 1860s hardly warrants linking with that of similar criticism today. George Eliot specialised in 'normal' tales of 'normal' people, though Maggie Tulliver can in no way be considered a 'normal' Victorian woman, despite the fierceness with which she tries. There is clearly an element of the writer in her, and as such, Eliot's compassion for Maggie shines through every mistake the poor girl makes. The book is both a riveting story and a serious criticism of aspects of society - and a criticism that still largely holds true. The fact that the women of the town prefer salacious gossip to a truth that is staring them in the face, and that this gossip ruins a woman's life, sounds to me remarkably similar to stories we hear of people destroyed by comments on social network sites. Eliot's satirical look at the stress placed by people on material goods as indicators of social standing...again, is this not the very society we live in now? Despite a rather melodramatic and unconvincing ending, I admit to shedding a tear for the inevitably tragic Maggie, and for finally finding, in Stephen Guest, a character to rival Angel Clare as 'most villainous gentleman in all literature'! Again, utterly brilliant. I try, every year, to read at least two or three classics that I have hitherto missed, and after enjoying these two so much - the quality of the writing alone is addictive - I feel I will have no problem increasing my intake. A brief respite from the old in order to avoid spoiling myself with over-indulgence, and I shall be back for more, hungrily feasting on the Penguin English Library with gusto.